In today’s world, it has become increasingly difficult to stay out of debt. Prices seem to rise faster than income, and there are always nifty new things to buy. However, debts put a great deal of strain on individuals and families. They also eat up income that could be devoted saving for one’s future. With all this in mind, it is important to make the effort to reduce personal debt. The best way to approach this is by sitting down and writing out your monthly expenses down to the last penny. Do not cheat and forget to add things, no matter how small, thinking they are not important. The use of budgeting tools can make this task easier. These tools range from personal budget software that includes ways to import financial data, apps and other features to the more basic budgeting spreadsheets, which are simpler, more flexible and often free. Next you must compare these figures with the money you know is for certain coming into the home every month. However big the difference between the two amounts, you must endeavor to bring them into line with each other in order to consolidate your situation. Another way to look at this is by computing your debt to income ratio. A calculator can be found here. While the lower ratio the better, it is important to keep it below 36%, which is considered the point when someone may be getting into serious financial trouble. For most people, the best place to start is reducing that high credit card debt. Do not allow the debt to be carried over to the following month, as bank charges are crippling and will make it impossible to catch up. 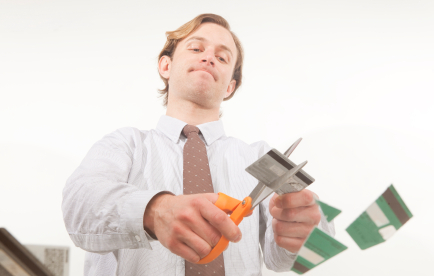 How to pay off credit card debt has tips on how to do this. Basic strategies include using a credit card balance transfers to consolidate debt and start paying it off before higher interest rates kick in. In more serious situations, credit card debt forgiveness may be necessary. Keep in mind that some people are just not suited for credit cards. If you are one of these people, limit your cards and credit limits if you have them at all and stick with cash whenever possible. 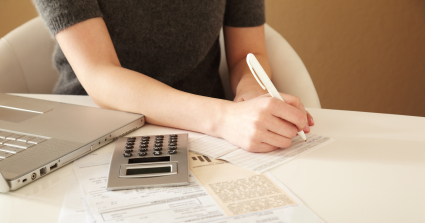 Renegotiating debt terms: This can be a good way to get lower rates for those willing to ask. Many creditors will be open to at least some negotiation if they believe the borrower may not be able to pay otherwise. Mortgage refinancing: Refinancing a mortgage can save a lot on interest if the timing is right. Debt Consolidation loan: By contacting a debt consolidation expert, you will be advised of the best way to tackle your monetary problems and this could help to relieve the stress of trying to juggle your payments each month. A debt consolidation loan means bringing all your debts together in one package and making a monthly payment in order to reduce the overall debt. You can arrange a payment amount which you know you can meet, and over time the debt will be paid off. However, keep in mind that these loans require putting up some kind of collateral that will be lost if the payments are not met. Without controlling spending and generating a positive cash flow, no amount of renegotiation or debt consolidation is going to reduce personal debt loads. In fact, things will likely get much worse. To get a handle on spending, most people need to create a budget. Tips and resources on how to do this are outlined in this guide to budgeting. Obviously, this is not always a practical option, but it is something to consider. Working harder for that promotion, adding qualifications or at a second job also reduces the time people have to spend money. Keep in mind that any extra income has to be devoted to debt reduction. Some of the biggest income earners in history have found themselves hopelessly in debt. This proves that an increased income is not a ticket to debt reduction if it is not used properly. All said and done, the single most important factor in reducing debt is controlling spending. Human wants are endless, but true needs are far fewer. This does not mean that people have to live like hermits. However, with more caution and more thought given to the future rather than current desires, people can live for less without big changes in lifestyles and actually feel better about themselves. Doing things more efficiently and watching that debt disappear can be more satisfying and long lasting than any purchase. Whatever happens once you find yourself in debt and feel unable to cope with it, there are various options available to enable you to deal with the situation. 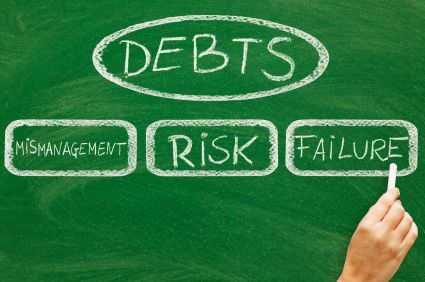 In a nutshell, reducing personal debt involves very closely at how much you spend, what you earn and learning to live within the limits of your earning power.